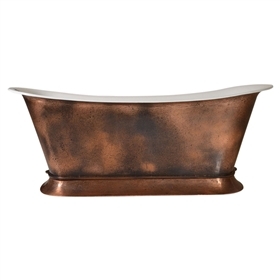 We show only a limited tub selection in our Aged Copper finish category. If you have a particular preference, please ask, we can finish almost every tub, including freestanding and clawfoot tubs in aged copper. We will be posting more photos soon.